My last check-up in Cape Town was in December last year. At the time I had discussed with the good professor the painful problem that I had in my left buttock and upper left leg. Everything else that I experience is uncomfortable but not painful! We have tried everything – I mean everything! – to alleviate the pain, especially aggravated when sitting or lying down. He suggested that I should see a specialist in Port Elizabeth who was doing work in this regard. So when I returned home, I made an appointment to see her. Only one problem – she is so busy that the earliest appointment I could get was on Thursday 22 August 2013 – eight months in the future! I asked Dr Britz in Port Elizabeth to see if he could speed up the process and the response I got was that I would be put on a waiting list in case there was a cancellation. All this time I have just lived with the ongoing pain. I received a call last month that there was a cancellation and I could visit the next day! As luck would have it, I was busy with a motor neurone disease meeting and was not able to go. So yesterday the big day arrived. Armed with my R800 for the consultation, my medical aid card and ID document (which I had been reminded on a few occasions to bring along), I went to see the specialist. Well, a good lesson for any patient is to discuss the payment with the doctor personally. It so happened that there was a discount involved because I had been there previously. Thank you very much! The rest would be forwarded to the god of medical aids in this country. I think that soon we will Discover that the funds there have also dried up! After a thorough examination, it was recommended that maybe a cortisone injection into my hip joint would assist. It was just a jab of a prick and a little EINA! Some anti-inflammatory capsules would round off this exercise in self-discovery and trial-and-error medication. Let’s keep our fingers crossed. By last night, the pain was a little worse and by this morning, even more so. Let’s hope it will improve as the day wears on. And no more sitting for the rest of the day … is this what a giraffe feels like standing all day? Joost van der Westhuizen, ex-Springbok scrumhalf and captain, appeared on the TV programme Carte Blanche again this past Sunday. He has MND – Motor neurone Disease and has appeared on TV a few times and often in the print media since his diagnosis at the beginning of last year. In the United States MND is often called Lou Gehric’s disease – after a famous baseball player who contracted the disease. In South Africa now, people often refer to Joost’s Disease! 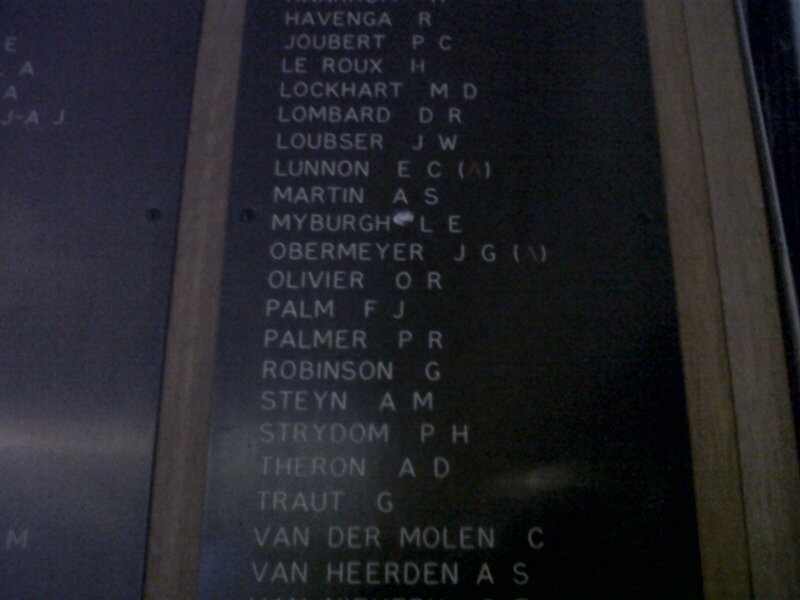 I repeatedly get asked whether I have what Joost has! Because of his celebrity status he has helped to raise the status and awareness of MND and other neurological illnesses. But his situation should also raise a number of other issues and many questions. For every Joost out there, there are hundreds of other South Africans with similar neurological illnesses who not only battle the disease but also need the support system and funds to deal with their battle. How best can we help those people? By law, medical aids in this country have to cover certain illnesses. These are referred to as PMB’s – prescribed minimum benefits. A certain number of diseases/conditions (such as cancer, HIV/AIDS, TB etc.) are defined as PMB’s and have to be covered for certain treatment by a medical aid. Neurological illnesses (other than Parkinson ’s disease) are not classified as PMB’s which means that all treatment required for such illnesses, such as medication, physiotherapy, speech therapy, wheelchairs and other devices, home care, adaptation of homes, etc are not covered by medical aid other than payments made out of a general medical savings account should there be an available balance. This places an unbelievable financial burden on the patient and family. How best can we be lobbying for the lawmakers to include neurological illnesses as PMB’s? Joost has a foundation, J9, which is raising funds for research. Where is this research being carried out and what research is being done? How best can we be assisting in order to make this research beneficial to all patients? How best can we be lobbying government to assist in assisting people with neurological problems? Joostlike! The questions don’t stop … and the answers don’t come! Sometimes, even a man made of iron has feet of clay, and stumbles and falls. After all, we are all only human! This past Sunday was the annual London Marathon. It’s of no particular significance to me other than that Londres is my favourite city in the entire world, and my surname resulted from the colloquial pronunciation of the City’s name by my Londoner forefathers. It was also the annual Spec-Savers IRONMAN ® South Africa competition held here in Nelson Mandela Bay. The athletes swim 3,8km in the Indian Ocean, then cycle 180 km in and around the Port Elizabeth countryside and top it all off with a marathon run, 42km along the streets of the city! The triathlon starts at 07h00 on Sunday and the winners do it all in some eight and a half hours. The cut-off time for the rest of the masses is at midnight. If one completes the challenge within the allotted seventeen hours, you earn the right to call yourself an IRONMAN ®! I remember being one of just a few people at Hobie Beach watching the very first IRONMAN ® contest in 2005. 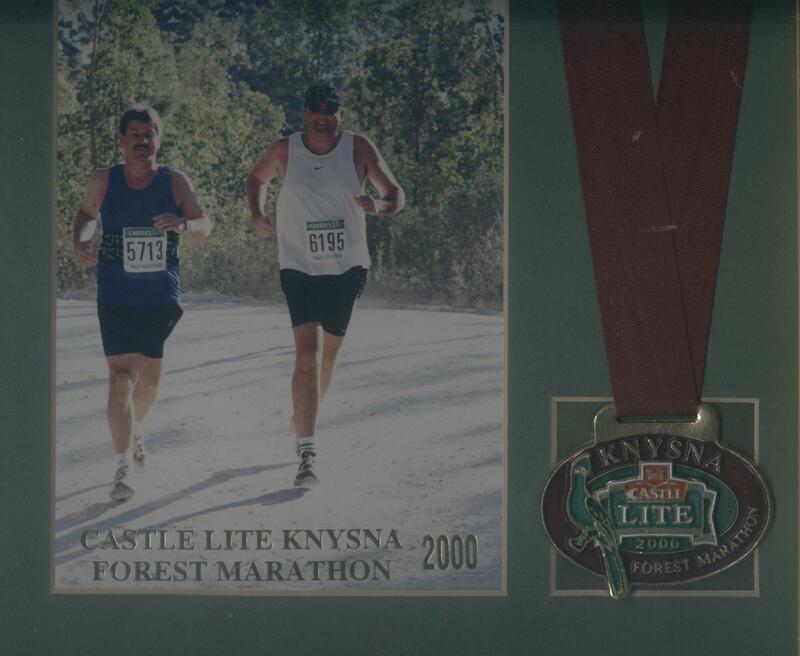 Lindsay Brown, who got me to run my first Knysna half-marathon in 2000 with him, and who had been the MD of Spec-Savers, was participating in the event. But around this event has now sprung up a mushroom patch of other supporting events – Iron Girl (on Friday) and IRONKIDS® and the Vodacom Corporate Triathlon Challenge powered by AlgoaFM (held on Saturday) – and thousands of participants, volunteers, workers and spectators. Of particular significance to me was the Corporate Challenge. It is also a triathlon, but just 10% of the distances of the IRONMAN® contest are involved. Either one, two or three people may complete the three disciplines. Together with two other people who also have neurological illnesses like me, we were entering for this competition. Unfortunately, the interest in the race this year was so great that the organisers had to cut off the entries at 1500 people, and we fell on the wrong side of the cut-off point. And, maybe a good thing, too! The disease has been taking its toll and the last few weeks, I think, has seen more deterioration than in the preceding five years! My body feels like a pot of stew simmering away on the stove. As you see little craters and movement appearing in the surface of the stew, just so do the muscles twitch and spasm in different areas all over my body. My left leg appears to have a short-circuit somewhere: it works and then stops – losing all its power. My left arm is difficult to lift beyond waist height. My mind is all over the place. I have been laid low for the first time since becoming ill. No Stellenbosch for me this weekend (to see Grey First XV beat Paul Roos) and no beachfront to experience all the Ironman excitement. I have been confined to the house and to my room most of the time, and I have to guard against becoming a total recluse! This iron man also has feet of clay! But don’t let me feel sorry for myself. We were planning to participate in the Corporate Challenge to raise awareness of neurological illnesses. Yvonne Anderson has been extremely helpful in doing work with handicapped people and she arranged for me to see some people on Wednesday. I met with Msimeselo Boltina, a young black guy from Lusikisiki in what was the former Transkei Homeland. He is some twenty-eight years old, confined to a wheelchair, cannot talk and has been (most probably mis-) diagnosed with arthritis! If we think we are hard done by poor medical infrastructure and support, then he (and so many others) really has a massive challenge. Put into the equation a young psychology student, Callyn Bowler – ironically her father Keith Bowler is one of the main organisers of the IRONMAN® SA contest. In her boyfriend’s mother, she has been exposed to the ravages of motor neurone disease and has felt moved to assist people in this area who have the disease. She has researched the internet and with the information gleaned there, wishes to start a support group for MND patients in the Eastern Cape. It really would be great to see her vision come to fruition in Nelson Mandela Bay. Besides the symptoms of one’s illness that one has to contend with, it is often the isolation, the sheer loneliness and the lack of (especially) medical support that frightens one the most in dealing with this affliction. I am fortunate to have – and I will always be indebted to – Port Elizabeth’s St Francis Hospice for their comfort and support. Especially Sr Gill le Roux, Sr Janice Malkinson and Isaac Ruben need to be thanked for their weekly visits – and Jenny Nickall – for all they do for me, and just for being there! The Hospice Palliative Care Association of South Africa celebrates 25 years this year, and if ever there is a deserving association that needs your support, then here is one. Please support them because, let me assure you, that when you have a loved one who experiences a terminal illness, Hospice will definitely be there to support you! Throughout our country, they promote quality in life, dignity in death and support in bereavement for all people living with life-threatening illness, and also for members of their family. IRONically, the word LIFE is made up of two parts LI and FE. Li is the chemical symbol for Lithium and Fe the symbol for IRON. Lithium is a silver-white metal and under standard conditions is the lightest and least dense solid element that can float on water. It is soft enough to be cut with a knife. The nuclei of lithium verge on instability and the metal is highly reactive and flammable. When cut open, it exhibits a metallic lustre, but contact with moist air corrodes the surface quickly to a dull silvery gray and then black tarnish. Pure Iron (Fe) is also soft, but may be significantly hardened and strengthened by impurities from the smelting process – up to 1000 times harder in the form of steel. Isn’t that LIFE? Soft as we may be as human beings, we are also very unstable and highly reactive. And we are hardened by the challenges and impurities that life throws at us. But at our core, we are still soft and we can exhibit lustre by showing that we do care. Africans talk about UBUNTU: we are because of them! So as we celebrate being men of iron, let’s also show that we do have some lithium in us, too! Last Saturday morning, Sean and I left Stellenbosch, crossing Sir Lowry’s Pass in the rain. Behind us, False Bay and the Hottentots-Holland basin lay basking in the sun. The weather mirrored my mood. It had been another trip of sunshine and rain. It took a while to convince myself that I was able to do another long trip by car. Travelling is just becoming that much more difficult for me. It’s far easier and less frustrating just to stay at home. But I have to guard against becoming a couch potato, and I really have been nowhere since the last trip to Nieu-Bethesda in December. A last-minute decision on the previous Thursday saw us deciding to make a trip to the Western Cape and the Cape of Good Hope. Sean had not yet started his second year at university and I am retired – so we had the time! Sean was keen to see his mates in Stellenbosch. Did I have the will? 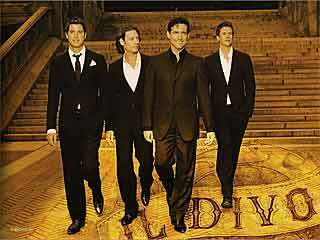 I was keen to attend the Il Divo concert in Cape Town – I have enjoyed their music for a few years now. Once I had ascertained that there were still tickets available, I booked and the decision was made. Cape Town – here we were coming! We left on Monday morning, heading westwards along the N2, stopping at the Storms River Bridge and in George and arriving in Stellenbosch (my birthplace and centre of learning) at 18h00. The temperature peaked at 43 degrees Celsius somewhere near Riversdale – we were grateful for auto air-conditioning and the car seemed the best place to be! 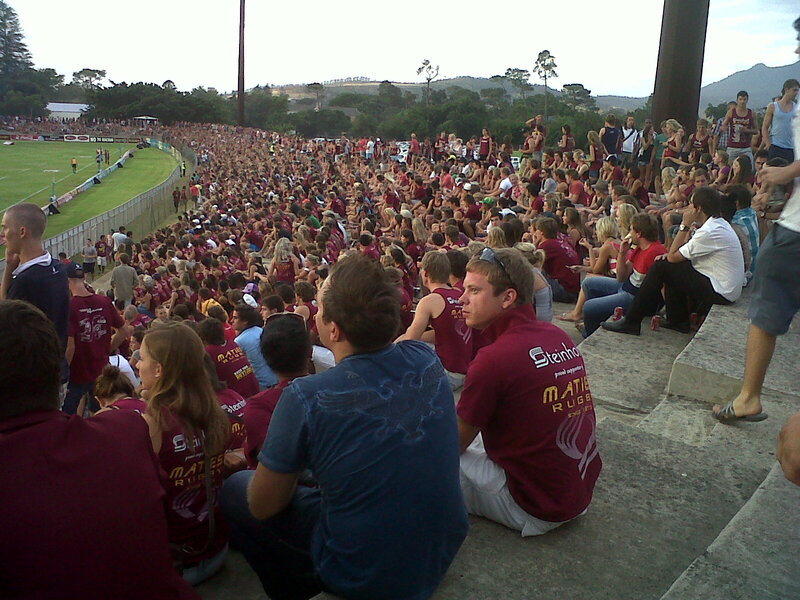 Straight on to the Danie Craven Stadium to watch Maties play in the Varsity Cup against TUT (Tshwane University of Technology) and then on to The Akker and the pizzeria next door for pizza supper with Sean’s friends David and Graham Clarke, David Bryant, Neil Wessels and others. 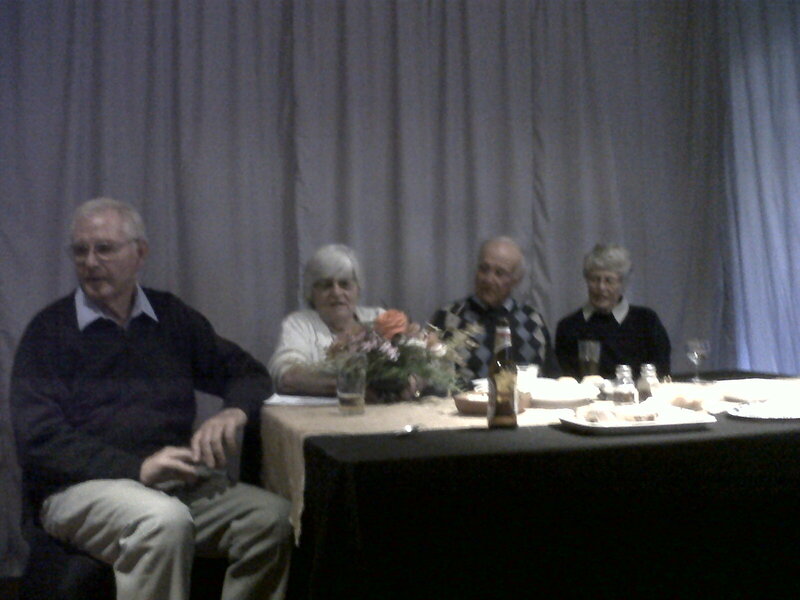 Then we went on to Durbanville to the Wüsts where we would be staying for the week. It was from their home five years ago to the week that I proceeded to theTygerberg Hospital to be informed of the diagnosis of CBD. This was the birthday week that I was supposed not to have seen! 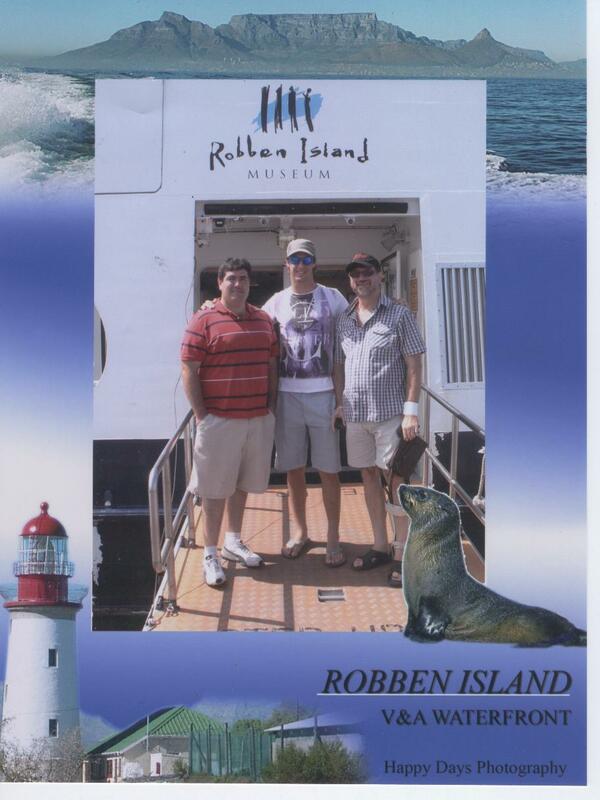 Tuesday saw us heading for the Cape Town docks and Robben Island (Rob = seal in Afrikaans). We had tried so many times before to view the Museum there and each time the trip had been cancelled because of poor weather or a malfunctioning boat! So it was with a bit of apprehension that we headed for the docks. But this time it happened, and we were joined for the trip by my nephew-in-law Sebastian Ridgway. This day-time ferry trip crossing the some 14 km took some thirty minutes. 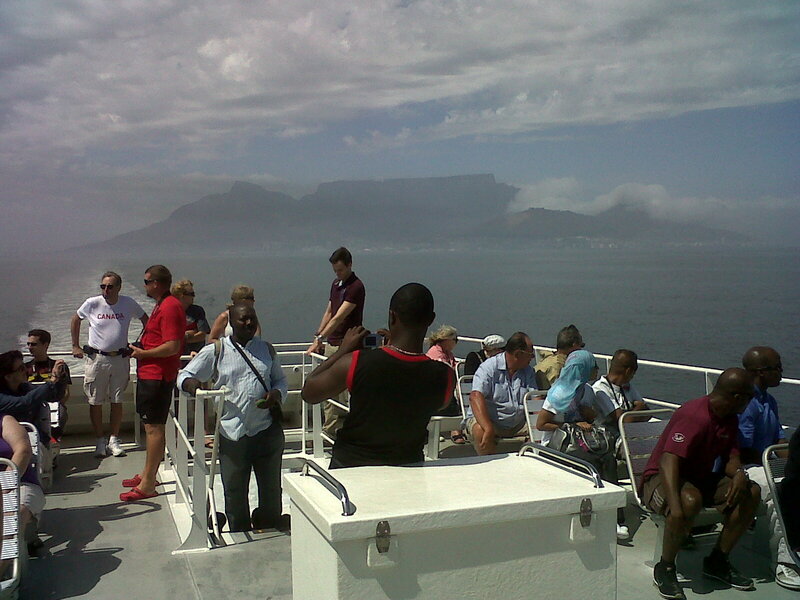 Although it was quite hazy, the trip reveals a magnificent view of Table Mountain, Devil’s Peak and Lion’s Head. In fact, you see Table Bay as you have never seen it before. Indeed, the “fairest Cape in all the world”! If the view from the boat is spectacular, then the backdrop of Table Mountain from the Island is something to see to believe. The history of the Island, as told to us by the guide, from penal dump to leper colony, through prisons, to the museum of today makes for interesting listening. It is almost a summary of the history of our country – something not to be missed if you are visiting Cape Town! Too soon we were walking from Madiba’s cell back down the road to the boat in the Island harbour and back to the Mother City. The time spent on the Island is not nearly enough to take in all the history and the scenery. 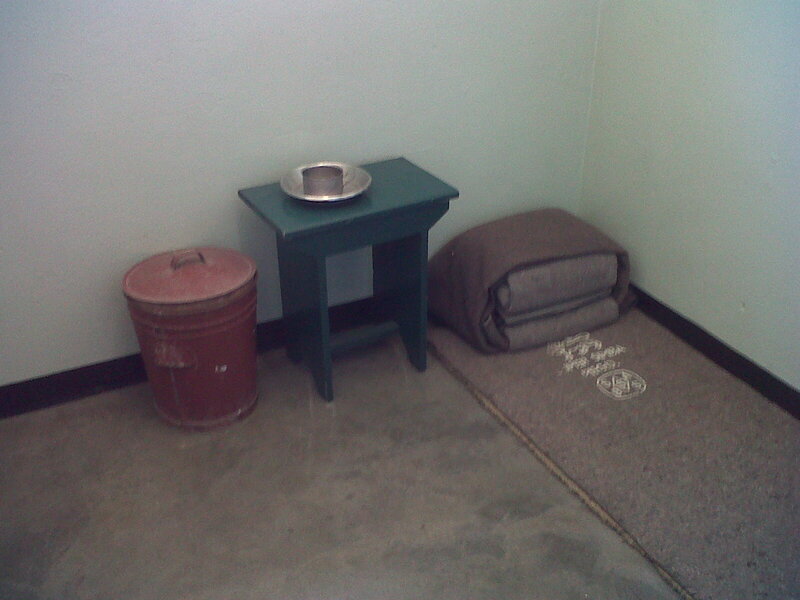 I felt quite guilty when I realised that I had partied the night away way back in the seventies in a hall just a few hundred yards away from prisoner 46664, Nelson Mandela, then “terrorist” and now our beloved Madiba and retired first president of the democratic New South Africa. How the world has changed in less than thirty years. Last Saturday when we drove back to PE, 11 February, was the 22nd anniversary of Nelson’s release from prison, and we still remember those pictures when we saw him for the first time leaving prison in Paarl with Winnie, his then wife, clenched fists in the air and part of his long walk to freedom! Anyway back to Cape Town. Sean spent the evening with friends, I collected him the next morning, we visited the Waterfront, found a sushi spectacular and then headed off to the Grand West Arena for the Il Divo concert. It was the opening evening of their current world tour. What a privilege to see them in person and to hear such big voices. Thursday was visiting day in the Hottentots-Holland basin – first my high school in Somerset West* which takes its name from the basin and where I matriculated in 1974 with, as the Honours Board now tells you, one of the two A aggregates of that year; then my sister, Lyn in Strand and then my Aunty Doreen and Uncle Peter at Bikini Beach in Gordon’s Bay. 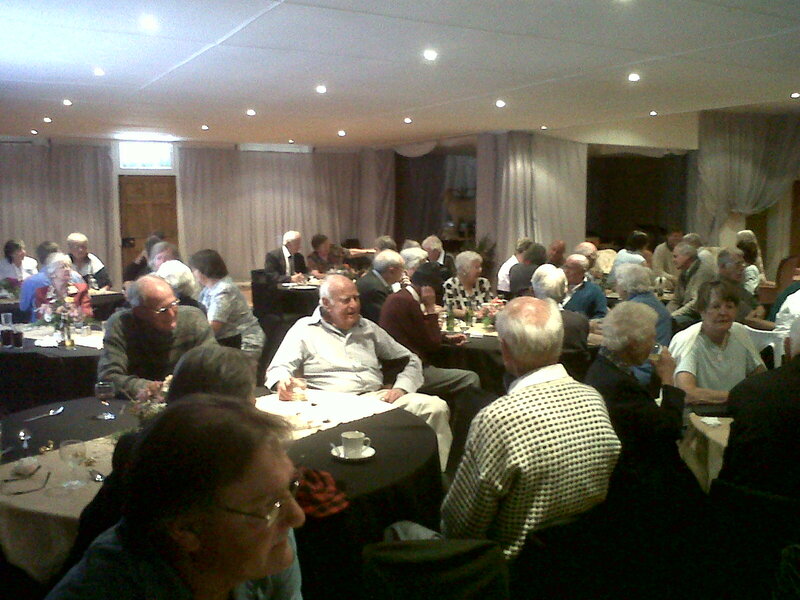 Then we head back to Durbanville to have dinner with my neurologist, Franclo Henning and his wife Helen. Five years and one day to the date after my diagnosis – we joke about the prognosis I was given and jokingly discuss the law suit regarding the timeline that I should not have made five years! This is my long walk to freedom … how long will I be imprisoned in this decaying body and who knows when I will experience my day with that clenched fist in the air and cross the divide into the unknown that lies ahead? Thursday was my day – I think Sean must have found it quite boring – so Friday was his day! We went to Stellenbosch, had lunch in the Neelsie (the Student Union), then left him with his friends for the day and night, and visited some of my student friends at Helshoogte (my ex-residence of six years). Then, for me, back to Durbanville for a farewell braai with Gretel and Willem. I was exhausted but excited and elated that I had once again gone home to The Cape of Good Hope. * My grateful thanks are extended to Sunette Fourie for inviting me back to the school and for being such an excellent hostess and tour guide. She is the only teacher still at HHH who was there when I was there as a pupil. The only other person from my era still there is Kevin Dockrall who was in class with me and is now a teacher at the school. It was great catching up with him too in the staffroom at break time. 8 February 2007: Happy 5th birthday! Next Wednesday, 8 February 2012, will be 5 years since I was diagnosed with the motor neurone disease corticalbasal degeneration (CBD). Thank you for sharing these 5 years with me, for reading my blogs and for supporting me along this way. 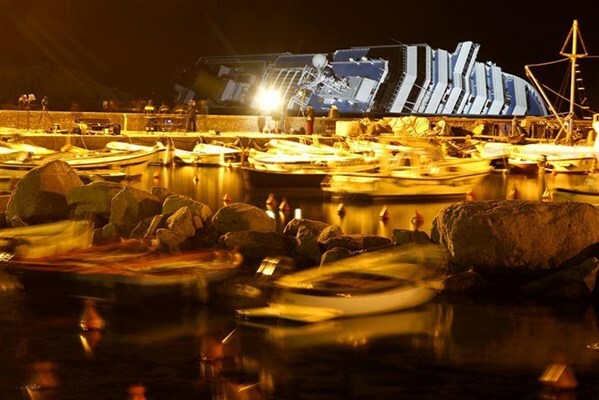 Last week I wrote about the grounding of the Costa Concordia in Italy. I read recently that this mishap will become the largest maritime insurance claim ever. Costa Plenty! Just when we think our life’s a cruise, the wind gets taken out of our sails. There’s no plain sailing. And every now and then we end up on the rocks. Even being ill with one affliction doesn’t preclude one from getting another. 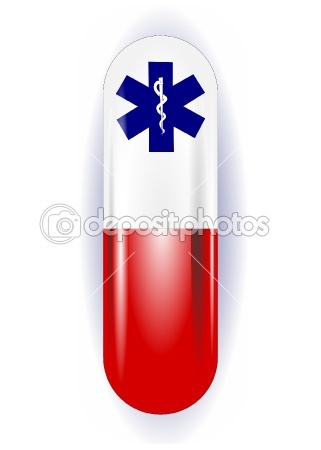 And so the last two weeks have seen a few more rounds of doctor’s visits and more pills and more medication. Things seem to be getting better slowly – hopefully soon I will be feeling “OK” and will only have the CBD to contend with again. That, anyway, is an exercise of strength and survival. Sometimes, I feel like the captain of that ill-fated ship and wonder if it’s just not easier getting off this ship early – “falling into a lifeboat” as he so vividly described his leaving the ship before many of his passengers. But for the meantime, I’m here till the end and have to handle what comes my way. And it all “costa plenty”, too. Last Monday I went for my annual check-up. The only reason I go for an annual is because I need a specialist report to send to my Insurers to inform them that I haven’t yet had a miraculous recovery. Other than that, I get ten minutes in which I do most of the talking, get a few yawns from the doctor, have my elbows and knees tapped with a silver hammer, flick my fingers and get to pay R500. R500 for 10 minutes equals a R3000 hourly rate. Costa Plenty! Just as an exercise, I thought I would check around to see what the recommended rates are for such a visit. I felt a bit uneasy phoning doctors to find out what their rates are. I don’t know why because that’s what we do with any other purchase we make – looking for the best deal. But somehow, we don’t seem to do that with medical services. It’s something that I think we have learned along the way. After all, doctors always do things in our best interest – or do they? It was quite amusing listening to the responses that I got – from sheer disbelief that I had the audacity to ask such a question to plain rudeness that I even dare ask such a question! And, in between, a few splutters and excuses for not being able to share the tariff list with me. How unusual that anyone should ask such a question and how damn forward of me to even consider making such a phone call! I then went to the internet to see if I could fare better there. After having googled a few times and coming up with different suggestions of reading material, I discovered that this was no easy task. Understanding the acronyms, organisations, rules and laws that govern the medical profession in our country would take far more than my diseased brain to understand. In fact, the one receptionist told me that her doctor didn’t have a set tariff – it all depended on what the medical aid paid him as to what the charge to me, the patient, would be. It sort of reminded me that if you went shopping for goods at Woolies, the price would depend on whether you were paying by Woolies card, Mastercard or Visa – that your bank would determine the price of the goods you were purchasing. The bottom line is that it would appear that there is no such thing as a standard tariff – there’s no one price fits all, and if you don’t shop around, you are going to end up paying the maximum! Yip, it “costa plenty” to become ill! And, as in my case, when I haven’t worked for five years, my ability to earn an income has been curtailed. Taking into account an annual salary 5 years ago of, say, R250 000, a simple calculation and without costing inflation, bonuses, etc, would highlight that my illness has cost me an income so far in excess of one and a quarter million rand! Make sure that you have planned for the day when your cruise liner hits the rocks. It’s bound to “costa plenty”! * Read this note – I hope you understand it! While welcoming the North Gauteng High Court ruling that Regulation 8 of the Medical Schemes Act (131 of 1998) – that medical schemes must pay in full for all PMB conditions – SA Medical Association (SAMA) chairman, Dr Norman Mabasa, has again stressed that the Competition Commission ruling banning medical schemes and provider groups from negotiating tariffs should be revisited. “We have spent a lot of time and effort supporting the Council for Medical Schemes (CMS) in its defence of Regulation 8,” said Mabasa when commenting on the ruling which came as a result of the Board of Healthcare Funders (BHF) asking the court to pronounce on it almost a year ago. The BHF was later joined by the SA Municipal Workers Union National Medical Scheme in seeking to have Regulation 8 interpreted to mean that schemes must pay for PMB conditions only up to the scheme tariff, effectively changing the meaning and purpose of the PMB provisions in the Act. “Yes, it is a victory for the CMS, for those of us who backed the CMS cause, and particularly for medical scheme members, but this is another one of those issues that should never have ended up in court,” Mabasa added. “This was not a misunderstanding of the PMB rules,” he explained, “but a development that can be directly attributed to absolutely no mechanism being available for providers and schemes to negotiate on tariffs and possible issues surrounding them. “We hope that the medical schemes will now join SAMA in pushing for a new era when provider groups and funders can engage positively on pricing requirements,” said Mabasa. I started writing this blog on the evening of Friday 13 January 2012. Other than writing a title I did not write anything else – simply because I started watching, on Sky, the breaking news of the running aground in the Mediterranean Sea of the 4000-odd passenger liner, Costa Concordia, on the coastline of the tiny Tuscan island of Giglio, just off the western coast of Italy. It was news in the making – another human tragedy playing itself off on TV. I enjoy watching these real life “reality shows”! Life is just not, excuse the pun, plain sailing! And quite frankly I have not been in the mood lately to write much. Saturday morning was the “Run in the Parks” and after my 5km walk, I was even less inclined to continue writing. By Sunday, I had developed a rash around the top of my left leg, just where my leg brace ends. By Monday, the itchiness was driving me mad – so yet another visit to the Doctor. More pills (celestamine: 3x day for 5 days) and the aptly-named Stopitch cream were prescribed. The rest of that week and this week, I have been miserable. Intense heat and humidity, a rash increasing rather than decreasing and the non-use of my brace (simply because it aggravates the itchiness) have all contributed to my frame of mind. Other than attempting to attend to some administrative things (like paying accounts and filing! ), I have not been too productive, and that makes me even more negative. It’s a spiralling whirlpool of emotion and self-pity. And having been ill now for almost five and a half years doesn’t make things any easier. I’ve become like a computer that just “hangs”. You know the feeling – it’s when nothing happens on the computer; the little sand-timer just whirrs away on the screen but everything freezes. It won’t move forwards and it won’t move backwards. The only solution is to switch off and start all over again. In computer terms, they talk about “re-booting”. And so these are the times that I have to re-boot myself, and this time it’s taking longer than ever before. By last Sunday, one week on, the heat continued unabated, the itch was driving me mad, my right leg – for the first time – has shown weakness related to the CBD, and I slipped twice during the week, and the rescue divers had found 13 bodies in the partially submerged wreckage of the Costa Concordia. 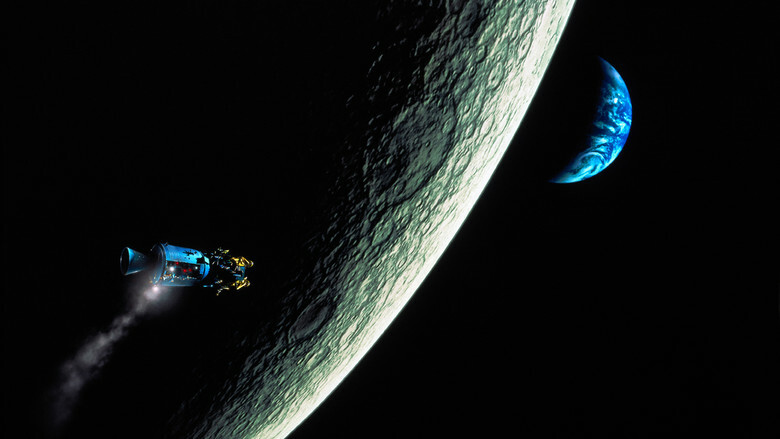 That evening, we watched on TV, the movie Apollo 13. It took me back many years to 1970 when I was in Standard 6 and 13 years old! Apollo 13 was to be the third mission to land men on the moon, but on 13 April 1970, a massive explosion in an oxygen tank put an end to the mission to land on the moon and, from then on, it was also news in the making – how to get the three astronauts safely back to Earth. Those were the pre-TV days, but I remember, so vividly, my little black Hitachi transistor radio with its brown leather carrying case and aerial, and an earphone to listen to the human drama late at night in bed when I should have been sleeping! I remember the voices from deep space, whining and hissing on the English programme (there were only three programmes: English or the A station, Afrikaans or the B station and Springbok Radio). The drama of that rescue and the eventual safe recovery of the three astronauts from the Pacific Ocean remain in my mind, and became so real as we watched the pictures for the first time – 42 years later! Monday morning at 10am saw me return to the doctor – now I’m on Maxaderm and Difluzole and hopefully that will get rid of the rash! At 1pm it was my daily visit to the biokineticist, at 3pm, my annual visit to the neurologist and at 4pm a visit to the psychologist. It’s just another day in the human drama of living with CBD! (“Well maybe, just maybe, it isn’t CBD – after all you’ve been around five years now and our statistics show that patients with CBD don’t really last this long …” – that’s the comforting news that I get at my “annual” … – “but then it’s definitely some kind of extra pyramidal neurological disorder, and who knows, if you hang around long enough, they may just find a cure … after all, they are doing a lot of research … “. It’s my sixth Christmas with CBD which I received in September of 2006. It was given to me as a gift by someone – no-one knows who – and when I took it, I did not know what it would give me and what it would take away from me. Indeed, Christmas is a time of giving and receiving; a time of celebration and reflection. In my life, I have been given so much – and so much more than most other people who have lived, currently live or who will still live on this earth. But sometimes it becomes difficult to be thankful for what one has been given. You only see what has been taken – and, in my life, I have had taken so much. My father was taken by a severe stroke when I was twelve years old; my mother was taken by diabetes, figuratively and literally, bits at a time until her death in 1986. It is especially at this time of the year that I miss not having experienced parents as many other people do. I studied to become a teacher, but in 1988 I allowed that noble profession to be taken away from me. In order to receive better remuneration elsewhere, I allowed greed to take away my chosen vocation. It is sad that so many other teachers in our country – which needs education so desperately – have done the same. In 2002, I had my then occupation taken away from me in a bizarre contrived set of lies and corporate circumstance. What had been given to me was taken away in the blink of an eye: the time it took to sign a signature with no conscience, almost in a situation similar to when Pontius Pilate washed his hands in water after he had allowed the decision to be made to crucify Jesus Christ. And then came the Corticalbasal Degeneration – a motor neurone disease that gives and takes. As time progresses, it gives of itself more and more. Slowly it takes more of my ability to make a contribution to society and my purpose in life. It has taken my ability to work and my capacity to earn an income and to provide for my family. This year it has taken our house at St Francis Bay and the special gift that we had to spend quality time together as a family. And whilst, economically, it makes no financial sense to have a holiday house, I have become only too aware this December, as our boys take off to go to friends, just how much a beach house acts as a magnet to keep the family and friends together. Those are the “priceless” moments that we see in the TV advert for Mastercard! As the knife and fork become difficult to operate and the food falls from the spoon, and the tremors and spasms increase, and I need more and more assistance to put on my shoes and put in a light bulb, the CBD takes more and more of my self-esteem. Human nature, I guess, is also very fickle. We all know that it is “nobler to give than to receive.” But we definitely don’t like being taken for a ride. We don’t like continually buying rounds of drinks and never receiving a drink back. There is no such thing as a free lunch! Few of us are so noble that we just continue giving and never expect something in return. I know of no one who continuously gives presents and doesn’t expect one back! The more you can give people, the more people you find surround you. Conversely, the less you have to give, the less you find around you. Christmas cards have stopped coming (all but the annual one – thanks so much! ), I suppose because I haven’t sent any back, and I guess that’s the reason that the text messages have become far fewer, the phone calls have almost dried up and the visits are non-existent. Yes, it is so much easier to receive and to take rather than to give! However, CBD cannot be human – it takes but it also gives: it has given me the ability to see life through very different eyes; to be more tolerant (I do try! ); to give more of myself; it has given me opportunities to travel abroad and locally; to write; to talk; to meet all kinds of interesting people and those who do give to me unconditionally; to have my chat programme on radio with Lance; to experience the kindness of those people from Hospice who visit me regularly and those medical personnel – the doctors, bio’s, orthotists, physio’s – who assist me to make my life more comfortable. Christians believe that God Himself, in the ultimate act of giving to mankind, was born into this world as His Son, Jesus Christ, in Bethlehem more than 2000 years ago. That is what we celebrate. But it is in celebrating this Birthday and it is at this “happy” Christmas time, especially, that one tends to see what has been taken and not what has been given. In this time of supposed goodwill and godliness; happiness and hope; family cohesiveness and friendship; snowmen and snowballs; purity, peace, presents and pretence; flicking lights and food; cheer and charity; tinsel and talk; and drinks and even more drinks, it is difficult sometimes to understand Life and to experience “Happy Holidays”. No wonder that for some it becomes intolerable and they end up throwing a few snowballs at each other and at Life! Some even throw their lives away! As I write this, the news informs us that the “Season to be Jolly” has resulted in the 82nd person, a thirty-six year old woman, jumping from our notorious Van Stadens Bridge on Christmas Day and ending her life. So I am thankful that I am able to control my mind and to keep it focussed on 2012. I wonder sometimes where that Star will lead me. What I do know, is that I will receive and take far more than I will ever be able to give! Despite the polyfilla to cover the cracks: the daily twenty odd tablets, the cortisone and now the quinine with its side-effects of headaches, rash, nausea, weakness, tiredness, and ringing in my ears (not bells nor beers! ), I have my new leg brace for earthly support and Support from Him whose birth we celebrate today. Exactly a week ago, last Tuesday evening, a switch was thrown at 23h00 by Dave Tiltmann, the MD of AlgoaFM which increased the broadcast area of our local radio station to include what is known as the Garden Route in the southern Cape of South Africa. Previously, when going westwards along the N2 from Port Elizabeth to Cape Town, AlgoaFM reception was lost somewhere between Plettenberg Bay and Knysna. 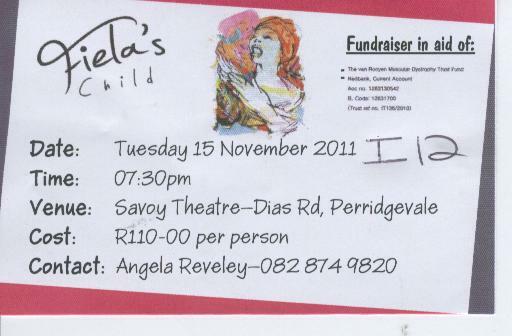 Now, you can pick it up all the way to Riversdale and Still Bay on the coast, and inland as far as Oudtshoorn! This part is arguably one of the most beautiful areas of our country and it is not known as the Garden Route for nothing. The municipal area is purposefully named the Eden Municipality. No account of my life’s journey would be complete if I did not write about this area. Just as the Camdeboo and the Karoo have been a part of my life, so, too, have the Southern Cape, the Garden Route and the Garden of Eden. I will describe the area from west to east along the southern coast. Stilbaai (Still Bay) is at the mouth of the Kafferkuils River. It consists of two pieces, West and East. Just recently we spent time with the Wusts in Stilbaai West on our way to Cape Town (see The Cape of Good Hope). But it was Stilbaai East that I first came to know as a High School youngster. Our neighbours in The Strand, Ds Bombaai van Rensburg and his wife (known to us as Aunty Dominee) and 5 sons – three of whom were born on the same date a year apart from each other! – had a holiday house there. We were contemporaries and became good friends, and I spent many summer holidays with great memories with them there. My Uncle George Lunnon and Aunty Irmela lived in Riversdal (Uncle George, ironically, worked for the South African Broadcasting Corporation, the SABC, and was responsible for the erection of many of the tall red and white FM broadcasting towers that now dot the South African landscape.) I recall him taking me to see the one outside Riversdale during my convalescence period. 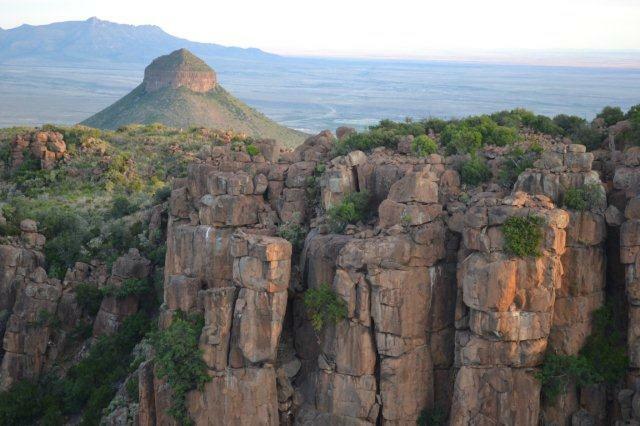 It is situated in the foothills of the Langeberg and at the base of the mountain known to all in the area as The Sleeping Beauty. You can see why when you drive past Riversdale why they would have named it that! Despite having family there, my mom single-handedly drove the then four-hour trip from Cape Town to come and look after me! Up the road from Riversdale (CCC vehicle registration) is Albertinia (named after one Rev Albertyn). No drive through this town would be complete without having Sunday luncheon at the famous hotel or a purchase of some of the many medicinal products processed here from the sap of the Aloe Ferox plant. Further westwards, about 15km from Albertinia, is the 65m high Gouritz River Bridge. It was here that the company Kiwi Extreme introduced the concept of bungi jumping in South Africa in 1990. About 35 kilometers to the east along the N2 National Road is Mossel Bay. Before that you get to see the orange glow of the burning flame of the chimney of the SASOL Oil refinery (now called Petrochem, but originally called Mossgas when gas was discovered in the Indian Ocean south of Mossel Bay and was billed to transform the economy of this area from the depressed state that it was – what happened, I wonder? Big stories and promises like the fracking of the gas fields in the Karoo? Mossel Bay itself is the start (going eastwards) of one continuous mass of wall-to-wall holiday and permanent homes built along the sweeping coastline where the white of the sea-sand merges with the darker blue of the sea-waters of the Bay, and the lighter azure blue of the sky and the horizon. When I worked in business, this was the westward extremity of the area for which I was the Regional HR Manager. It was here, too, that I worked my last day in that industry and where it came to an abrupt end way back in March 2002. What one sees as one urban sprawl is actually made up of numerous different towns/villages. Those that spring to mind are Hartenbos, home of the ATKV (Afrikaanse Taal en Kultuur Vereniging), Klein Brakrivier, Groot Brakrivier (it was here that as a High School student, I attended SCA camps), Tergniet (I often visited the Appels here when I did my military service in Oudtshoorn), Eselsrus (where retired teachers have made their holiday and retirement village), Glentana, Herold’s Bay (the home of golfer Ernie Els) and a guess a few more that I have forgotten. From Mossel Bay to George the national road is a double four lane highway – only because the Member of Parliament for the constituency of George all the years was one PW Botha, later to become Prime Minister and State President of the Republic and the deliverer of the dreaded Rubicon Speech that projected our country on a downward spiral to chaos in the eighties). Next to the highway and between it and the magnificent Outeniqua Mountains, is the George National Airport, also a brainchild of the late PW Botha MP. Then comes the City of George, the sixth oldest town in South Africa named after King George III, and the Capital of the Southern Cape. The town is very centrally situated: halfway between Cape Town and Port Elizabeth and centre of the Garden Route. It is situated on a 10-kilometer plateau between the majestic Outeniqua Mountain to the north and the Indian ocean to the South. Pacaltsdorp is found right next to George. I haven’t written a blog for a few weeks now. It’s not because I have been too ill; it’s simply that I have been too busy! And that being busy during a time that I really didn’t have anything planned. I had said to Lance on our radio discussion that I was going to relax. I was going to take it easy, catch up on my writing, get my admin sorted out and rest a while! I missed the Remembrance Day sevice at Grey, but attended my first hydrotherapy at noon with Christelle Smit (biokineticist) in Newton Park. She was recommended to me by Paul Woolf, who was so instrumental in assisting Belinda Walton in her recovery after her dreadful car accident. At 11h30 I see Suna Kennedy who visits me weekly to massage my hands, arms, feet and legs. At 13h30 it’s off to swim with Christelle. At 11h00 I have my therapy with Christelle. 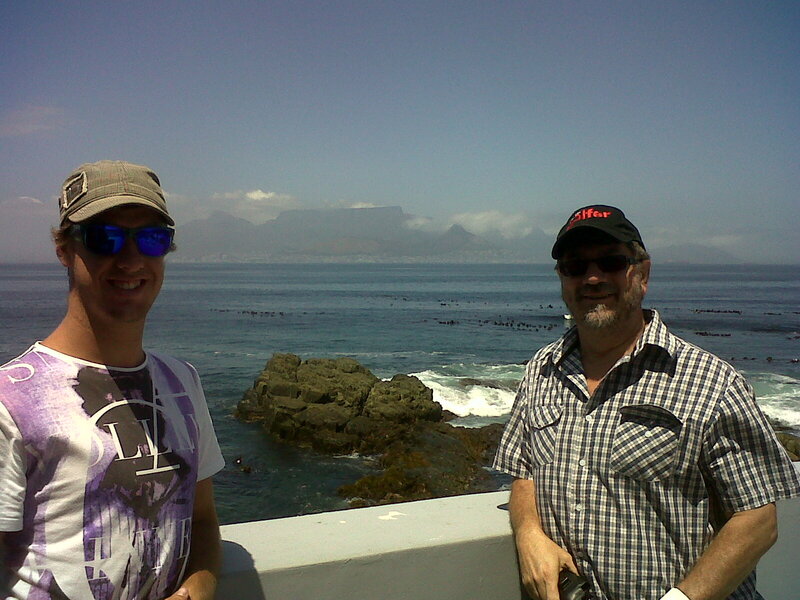 Then invite to lunch with ex-pupil and psychologist Konrad Van Staden at Cape Town Fish Market at 13h00. Over Tuesday’s half-price sushi we discuss the ongoing spasms that are increasing, the pain in my left calf muscle and the discomfort that I am experiencing. Konrad has been discussing my condition with medical colleagues and they have some ideas with which they want to experiment. I then rush off for my haircut @ 15h00 with Jeannine at Hair by André in 4th Avenue Newton Park. Jeannine has kindly been cutting my hair and trimming my beard for the last few months now, since it became more difficult for me to hold the shaver and pair of trimming scissors! The talent in Port Elizabeth never ceases to amaze me! Donna Africa is superb in the rôle of Fiela! And it’s a fundraiser in aid of Gaby van Rooyen’s Trust Fund – Gaby has muscular dystrophy and we have discussed her on air and she has met me at Bluewaters café. I commence new medication with breakfast. My therapy is cancelled today (I can’t remember why! ), but in between everything, I am in discussion with the Wrights and the Parke’s in Graaff-Reinet to arrange my lift there for the weekend. Rose Wright decides to come shopping in Port Elizabeth and drives down in the afternoon arriving at 17h30. She will stay over, go shopping in the morning and I will return to Graafies with her on Thursday afternoon. Rose goes off shopping. 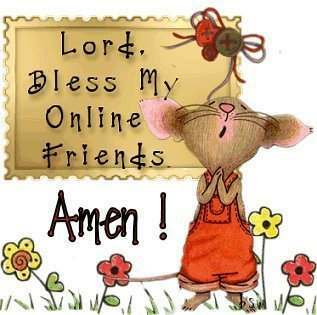 At 9h30, I have my weekly visit from Sister Gill from the Hospice, then Nadine arrives at 10h00 to help with my admin, followed by Isaac at noon for our weekly chat and then a rushed pack for the weekend. 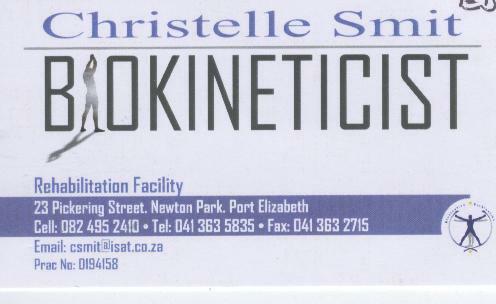 At two pm, I rush off for a double dose of therapy and swimming with Christelle until 15h00. At 15h30 we leave for Graaff-Reinet, arriving there about 18h00. Gordon has called to tell us to meet him at the Graaff-Reinet Club for drinks, and then it’s to their home, supper and sleep! Well, I’m here to talk so I had better prepare some speeches. After breakfast, I spend the rest of the day preparing and trying to be fancy using my I-Pad. I think getting used to the I-Pad took longer than putting my thoughts on paper – I mean I-Pad! But so we move into a paperless society. It is very humbling for me to speak to people who face the challenge of cancer (and those who have survived!) It is also awesome to meet so many people who “know” me because of listening to our programme. It never ceases to amaze me how popular the show has become. Besides strangers there are also friends that I have met over the years visiting Aberdeen, Graaff-Reinet and Doringdraai. The Kroons, the Murrays, the Watermeyers … I wish I could remember all the names … as my memory regresses, I will have to jot it all down in my I-Pad … I wish I remembered to do that at the time! I spoke about the positives of facing life’s challenges – The Gift that Adversity brings to us. Then we had the main course and dessert, with some light singing entertainment in between. It was a great evening, celebrating the human survival spirit. Afterwards, I went with Aunty Jean to Helen and Graham Harris’s town house. Uncle John was there too, and we visited a while until Graham took me back to the Wrights. There we were joined by William Pringle (the new Union High headmaster) and Gordon for a late-night single malt! At 9h00 Graham came to fetch me. I had a breakfast appointment to address the Men’s Club at the St James Anglican Church Breakfast Group. About twenty local gentlemen arrive and before breakfast I give them a slightly adapted version of last night’s speech. Question time delivers a large number of questions ranging from the illness to religion, faith and Christianity. I thoroughly enjoyed the quantity and quality of the questions asked. And we had an excellent breakfast! Then back home. I was quite tired and had a short nap. Afterwards, I walked to town for some exercise, looked at some of the historical buildings (GR, the fourth oldest town in SA, has the most historical buildings left of any town in SA. ), chatted at Brian Bands to some ardent radio listeners and at The Spur to Andy Cherrington, my ex-neighbour from Port Elizabeth who has recently bought the Spur Steakhouse in Graaff-Reinet and moved there. 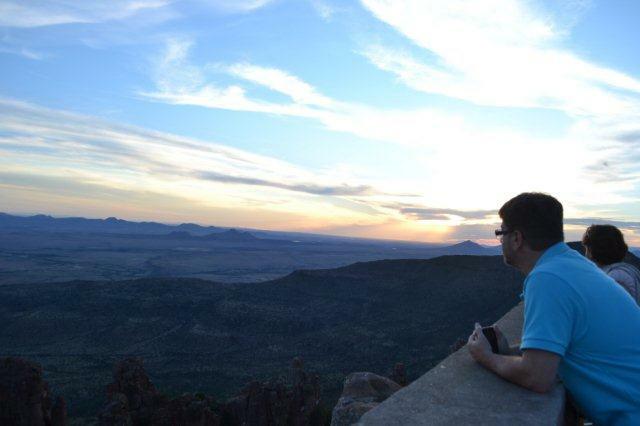 After a decent afternoon nap, we drove to the National Park and the Valley of Desolation, just outside the town, to have sundowners from the vantage point at the top of the Valley. What a magnificent sight to see the sun setting over the plains and leaving its coloured canvas over the Karoo and the Camdeboo mountains. The park closes at 20h00 and after our wines and cheeses, we barely made it out on time. I fell asleep in the LazyBoy Recliner and woke up to find myself the only person left in the lounge. Then off to Tandjiesview to spend the night on the Harris’s farm, some 40km outside the town. Back to Port Elizabeth on Tuesday at 13h00 in order to attend a fracking meeting at the NMMU at 17h00. It was the first time that Shell Oil, Environmentalists, Geology Professor and Karoo Action Group shared a public platform under the chairmanship of University Deputy Vice Chancellor, Piet Naude, who studied with me at Stellenbosch University. Unfortunately, government did not pitch up and were conspicuous by their absence. Overall, the general feeling (except that of Shell) was that a moratorium on fracking should be extended for at least another three years until a proper investigation under international watch-dog eyes could be concluded. Loynes came to fetch me for ED is in wED. Then coffee with him and Kobus at Bluewaters café, Doctor Fanie at noon, more cortisone from the pharmacy, coffee with Konrad at 13h30, swim at 14h30 and drinks with Kyle, my financial advisor at 16h00! Back on to the cortisone at breakfast, Nurse Gill at 10h00, Nadine at 11h00, massage at 11h30 and then the Parkinsons Support Group Christmas Dinner at QDotPharma (ex Paraexel) Head Office. What a joy to see the humour, fun and enthusiasm in this group of people who battle the ravages of Parkinsons Disease! Quiet morning at last and time to just sit and relax! But not for long, as it is swim time at 13h30! 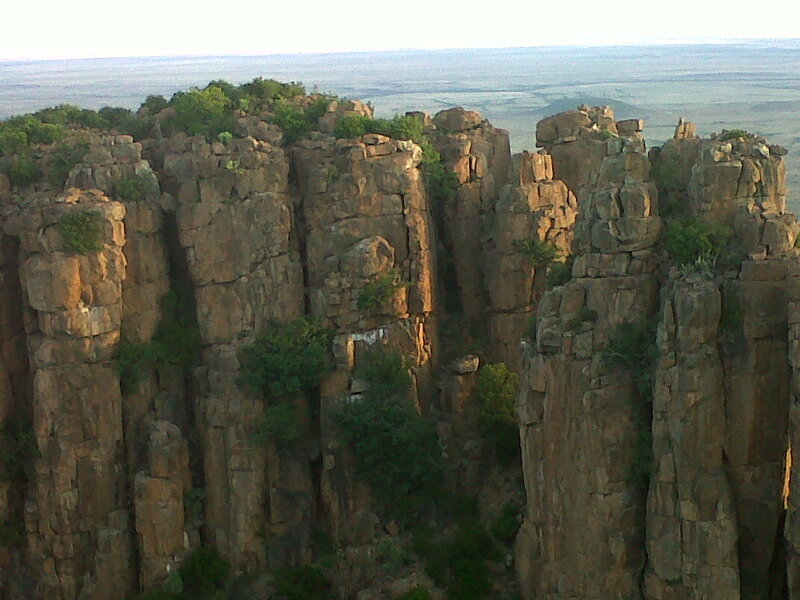 Then back to Graaff-Reinet! Pera and I left at 16h00 and drove as far as Tandjiesview, where we braaied with Graham and Helen in the evening and slept over. My internet is down – glory be … how did we manage in the past. Eventually with the help of MWEB we get that sorted out. Then swimtime at 13h30! And then I watched Joost van der Westhuizen’s Benefit Dinner on TV. He has MND (ALS) and they managed to raise in excess of R1 million for his Foundation. And how do I feel in all of this, bearing in mind the experimental cortisone? Other than waking up with limbs that feel pretty normal for a change, I’m feeling pretty grotty, struggling to walk on a weak left leg, headache, sore joints, and generally just mis! We can still try the other options … quinine, intermuscular injections, botox … let’s see how this goes …!